Killester College of Further Education, Dublin 5 is a centre of learning committed to providing courses, adult education and training of the highest quality. 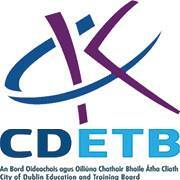 As a College of the City of Dublin Education Training Board (CDETB), Killester College of Further Education strives to excel in responding to the educational and courses needs of the community in Dublin 5 and surrounding areas. Our courses and programmes we offer are learner-centred and provided in a friendly, inclusive and supportive environment. Killester College of Further Education won an Award for Excellence through Accessibility in 2011. All courses at Killester College range from FETAC levels 4, to levels 5 and 6. 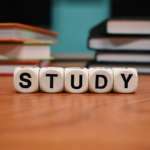 They are accredited by Quality and Qualifications Ireland (QQI) They are qualifications in themselves but can also be used to progress onto Third Level. We welcome all ages from school leavers to Mature students. We are situated 5 minutes from Killester Dart Station which is two stops from Connolly Station. PLC Grants; Back to Education Allowances; Vocational Training and Opportunities scheme (VTOS) are available. For more information about courses, evening classes and adult education at Killester College of Further Education, contact us using the details below. Learn how to take those first steps in starting your own business. Learn from an experienced tutor while becoming familiar with the administrative duties. Learn to use your touchscreen device for searching the web, wifi , emailing, camera functions, online banking, social networking and a whole lot more! Free wifi is provided but students will need their own device. Become familiar with Local Archaeology & Monuments, Local Buildings & Architecture and Social & Cultural History. This last night is a trip to the Local County Archives. An interesting look at themes shared in a diverse range of books and film. The course will include movie clips and discussions around extracts from books. This course is for total beginners. Topics include: Introducing Yourself Talking about family and hobbies Ordering in a coffee shop and general conversation. Learn a new craft or revisit and old one! Create exciting fashions for yourself or for gifts. Build strength, flexibility and endurance while concentrating on core muscles to promote a supple and graceful body. Students are required to bring their own Pilates mat.